« ‘No Problem’ or ‘You’re Welcome’? The Massachusetts Berkshires Tourism and Travel Planning website has a great tagline, “life is calling.” And life in the Massachusetts Berkshires is bursting with some exciting stuff! Lately there has been an explosion of a new and exciting local food scene. 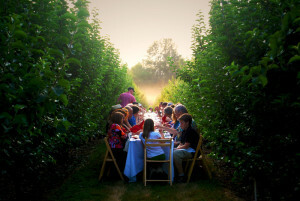 “A crossroads of culinary culture, the Berkshires attracts chefs and restaurateurs who are, in no uncertain terms, artists in their own right.” A food scene is a great draw in a destination location but cultural events and some of the most scenic vistas in the Northeast are the Berkshires’ mainstays and draws the world to its doorstep. The peaceful beauty of the Massachusetts Berkshires has always been a draw, from the 19th century’s affluent ‘cottagers’ that flocked there from New York City to today’s tourists seeking a getaway. Today guests have the opportunity to stay in some of these ‘cottages’ as well as tour the larger preserved Berkshire estates open to the public. 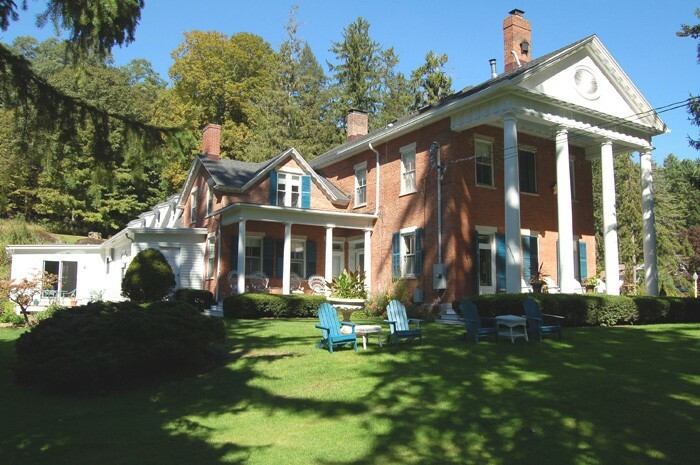 The Federal House Inn in South Lee is a prime example of a Berkshire ‘cottage’ that offers guests a glimpse of what guests from an earlier time experienced. Elegance, yes, but also country comfort in a relaxed atmosphere. Earlier guests to the ‘cottages’ were seeking a respite from the social rigors of city society. I suppose you could say the same for today’s travelers. A getaway is a getaway no matter what century you live in! The Federal House Inn was built in 1824 by the paper industry leader, Thomas O. Hurlbut. His home was his sanctuary, being a devoted family and business man. Today the property is still a sanctuary. The Federal House Inn has been fully restored and the gracious federal brick building appears today as stately as it did in in its inception. Current innkeepers have kept the historical charm of the home which features gorgeous wood floors and large windows that invite guests to admire the surrounding scenery. The addition of the expanded and newly constructed owner’s quarters is a wonderful plus to the property. A private living room, bright master bedroom and bath, walk in closets, a new 4-season sunroom/office, private garden and deck complete the package! These quarters are spacious and comfortable…and… private and convenient too! If ‘life is calling’ you to the world of Innkeeping, the Massachusetts Berkshires and the Federal House Inn for sale is a great place to start your journey. Read more about this gracious property and the wonderful opportunities it has to offer. This entry was posted on Thursday, September 3rd, 2015 at 8:30 pm	and is filed under Better Way to Buy and Inn. You can follow any responses to this entry through the RSS 2.0 feed. Both comments and pings are currently closed.